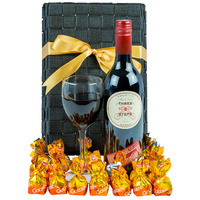 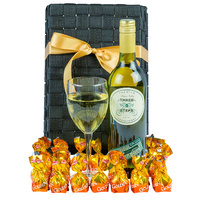 Wine & chocolates is a sure thing! 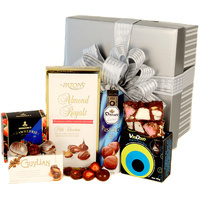 A beautiful gift hamper that is stunningly presented with yummy treats. 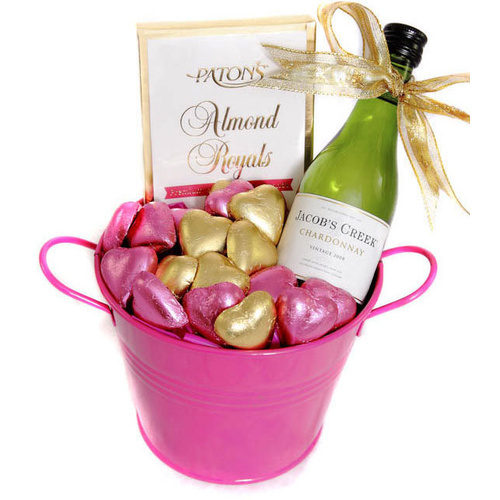 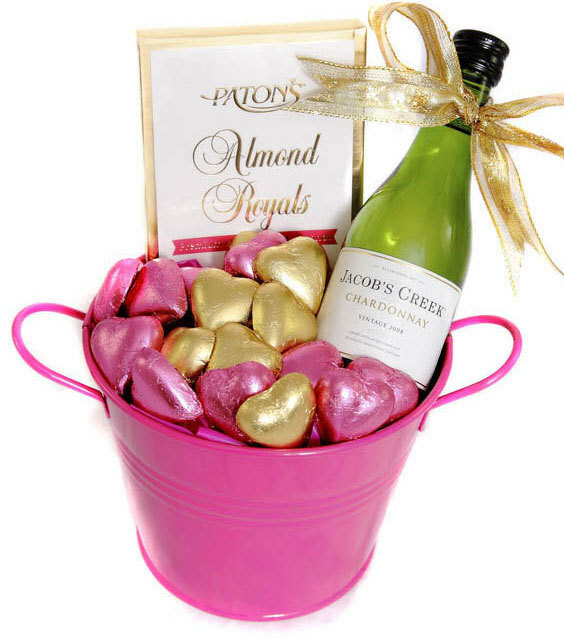 A gorgeous hot pink bucket filled with indulgent delights! 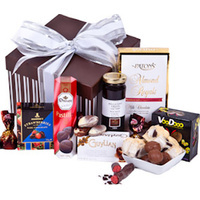 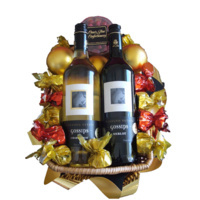 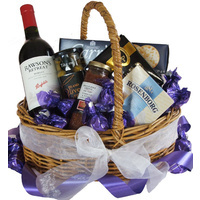 Impress that special person with this gorgeous gift hamper!